Silicone molds and rectangle shaped molds are favorites for many soap makers. This has both! 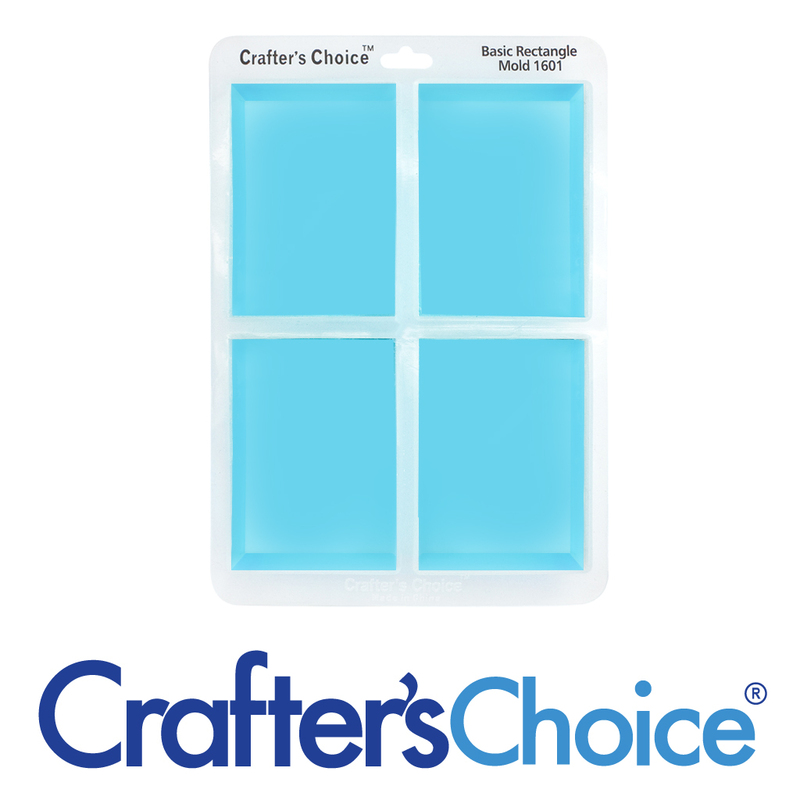 Silicone allows for easy removal and the rectangle shape allows soapers to make a classic soap bar. Measures: 2.5" x 3.5" x 1.25"
Cold Process/Oven Process Soap: Pour soap at trace into the mold cavities. Preheat oven to 170ÂºF then place mold in oven. Turn oven off, and keep soap in oven overnight. The next day remove mold from oven. Carefully remove soap from mold by gently pulling the sides away from the soap, and then push on the bottom of the mold until the soap starts to release. Grab hold of the soap and carefully pull out of the mold. Allow soap to cure for 2 to 4 weeks.